A study by UC Irvine’s Department of Population Health & Disease Prevention has discovered that LED diodes contain unsafe levels of carcinogenic toxins. While LED’s less energy friendly cousin’s, CFLs, contain a measured amount of mercury, LEDs are laden with lead, arsenic and a handful of other chemicals that have been linked to different cancers, neurological damage, kidney disease, hypertension, skin rashes and other serious illnesses. Not only are these chemicals harmful to consumers if the bulbs are mishandled or broken, but extracting those toxins from the earth is a destructive process. The researchers crunched, leached and measured LED diodes large and small and found the larger the product the more toxins it contained. However, just the low intensity red-colored LEDs contained eight times the level of lead allowed under California state law. The bulbs also contain a small amount of copper — the extraction and refining process of copper is extremely destructive to streams, rivers and lakes around the world. The researchers noted that one exposure to a broken diode probably won’t cause cancer but could be a tipping point. They also noted that first responders arriving to scenes of broken LED traffic lights and car head lights on a regular basis should treat the chemicals as hazardous waste and wear proper protection. Though LEDs are difficult to break — it would be hard for you to fracture your new efficient holiday lighting — those included in vehicles and traffic lights could pose a greater risk of breaking due to the high speed accidents they can be involved in. When I first saw led brake and traffic lights and consistently saw trails after I looked away, I knew there was something wrong. I later got an led bulb (daylight) for my house when prices got somewhat reasonable. I don not like it at all. In fact, it's depressing! My body is telling me that something is seriously wrong; I can't quite put my finger on it - but I am definitely trusting my bio-computer - the most advanced in the universe. I later found that they suppress melatonin. They also contain high concentrations of lead, arsenic, and other heavy metals. Another example of the severe pollution humans are accepting from digital media - music, cinema, etc. No one wants mercury in their air, so why were the inventors of CFLs allowed to use mercury in the first place ~ if CFLs can't be produced without using harmful substances then they shouldn't be produced at all...why aren't solar solutions being promoted more, while encouraging car-pooling & (eg) improved services at internet cafes, and discouraging the ornamental and otherwise unnecessary use of non-solar lighting. More should be done to recycle incandescent bulbs ~ I'd rather use them with solar generated electricity, and recycle them, than use LEDs that use more hazardous metals (inc lead)… and arsenic!…what’s that about? Most modern LED's don't use copper at all, the leads are made of iron plated with tin. There is already thousands of LED's brands lead free. The epoxy plastic is strong, you need a hammer, massive block of steel and an intention to brake it. The die in standard LED is less than a 1 square millimeter. Whats the deal here Arsenic is in all electronics its how transistors and diodes are made. Your house and computer are full of it. This is nothing new! The levels are microscopic. And lead is whats in the solder that's also in all electronics nothing would work without it. If this alarms you you had better throw away your computer, cell phone and TV because the have higher levels than LEDs have! What this is really about is an attempt to trash LEDs as we all get ready to swallow the CFL Kool-Aid. When you break a CFL Light bulb there is mercury LIVE in your environment. On one hand the EPA says it's not enough to worry about, and on the other instruct you to ventilate the room and place the broken bulb, glass and wiped up powder in an air-tight container. AN LED is pretty much a solid piece of plastic. Being in the LED sign business, I have tried to break a couple and let me tell you, you are most assuredly not going to accidentally break an LED. Finally, I'd like to know exactly what kind of destructive process was used to extract all the "toxic Chemicals" as well as details of how their laboratory process would compare to real life. I'll bet there is no comparison! I would stress that the Led's poted above are not used for most auto bulb applications (a very popular mod today). 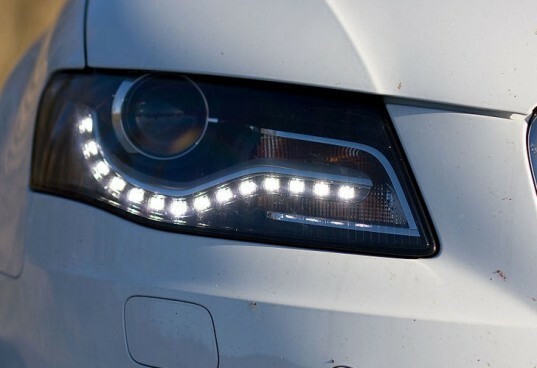 I personally have touched and installed many led bulbs installing 3157's and other after market auto led bulbs... Take a look at the bulbs on the site below v leds . com and maybe focus the dangers to that variety? Really, copper? - copper?, do you have any idea how much copper is in an average home. In fact drinking water is supplied by copper lines in many homes. This article is an extreme stretch to list LEDs bulbs as any where near as toxic as CFLs. I'd have little problem with my children handling LED bulbs but would never let them handle CFLs. Which were the previous golden child pushed by the environmentals as a replacement to traditional tungsten filament bulbs. Netting General Electric millions in profits and closing down the last remaining US based manufacturing plant of traditional tungsten filament bulbs and sending it to China. So what's left - Plasma and CRT lighting technology? Quick, waste some money on a study to find out that they contain copper and *gasp* Phosphor. As for the conspiracy speculation as to who might be behind this. Who is the largest manufacturer of CFLs worldwide? Who's interest would be served by saying - See LEDs are bad too, don't use them? Asparagus is a toxin: If you eat too much, it will kill you. Cocaine and hemlock are 100% natural. Artificial cherry flavor is more pure and safe than natural cherry flavor. Shocking statements to some, but all true, and require a bit of rational thought. In a similar vein, let's be rational about LEDs. For whatever environmental risks they pose, is it greater or less than the environmental risks posed by incandescents or CFLs that need to be changed much more frequently? Important question, for if LEDs are banned or restricted, then more incandescents and CFLs will be used instead, unless there is a magical perfectly green substitute out there that we're needlessly avoiding. LEDs, at least the individual diodes, are not "bulbs." Either the author is uninformed or attempting to instill unnecessary fear in the public. The term "bulb" conjures images of a fragile glass sphere that will smash into a million pieces if it's dropped. As the post above points out, you'd have to work pretty hard to get to the insides of a Light Emitting Diode. This is poor reporting. The same substances are in countless computer chips in use today and, as a calciphus also mentioned, the LED or chip would need to be crushed before it became a danger. While it is possible to break an LED it is far easier to break a CFL (the CFL is glass, LEDs are usually encased in hard plastic). Mining and refining rare earths is messy, but our modern miracles rely on them every day. 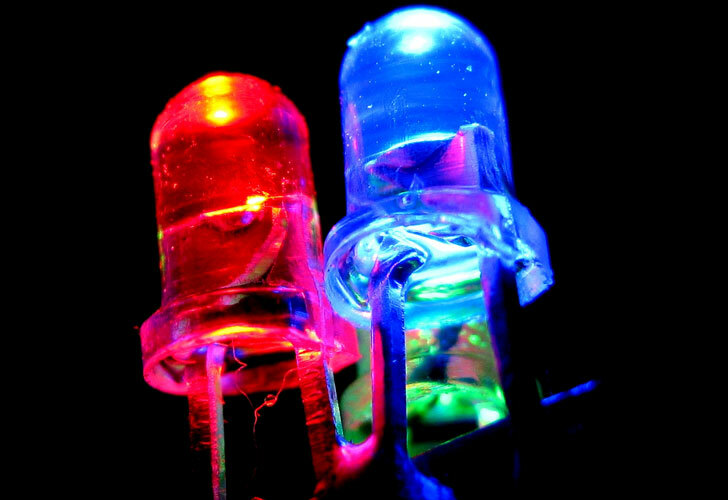 We should work to make the process greener and remove what we can from LEDs. I call shenanigans on this article. LED technology may contain unsafe levels of known carcinogens if they are extracted, but really? LEDs are extremely hard to crack open. Much, much harder than any CFL or other fluorescent light that will immediately release mercury vapor and white phosphorous. You can eat LEDs all day long, and your body will not break down the plastic case over the LED chip. Even SMD LEDs at least have a protective layer of epoxy over them. I would much rather have a home filled with cooler LED lights that are cooler, more energy efficient, longer lasting and much, much harder to break open to release anything. And the argument of the extraction of copper harming the environment? One single copper plated penny has enough copper to literally make thousands of LEDs. Nearly every home has copper wiring and copper pipes. Hybrid vehicles use copper for the huge electric motor windings and power cables. Just another example of someone (the author of the study, Oladele Ogunseitan, chair of UC Irvine's Department of Population Health & Disease Prevention) trying to make a mountain out of an anthill with a ridiculous article. Well, if LEDs are also environmentally negative, why don't we just make our lights out of wood? I mean, we can use sticks, and while they're initially turned on by a flint and piece of steel or a spark of electricity, they are completely self-sustaining. and wood's a renewable resource, and it decreases our carbon footprint. THIS IS BRILLIANT! WHY HASN'T ANYONE THOUGHT OF THIS BEFORE?! Aah, some researcher trying to make a name for themselves by publishing a scare piece. This isn't secret information, the colored lights list their elements: GaN, GaAs, etc. In order to be unhealthy, you'd have to crush them into a powder and snort them. It's not like other bulbs that are hollow and shatter. Sounds like they won't be happy until there's a light source that costs negative resources and energy to produce and self-powers forever. I'll take a good plan today over a perfect plan tomorrow. The amount of toxic elements isn't any higher than for any other kind of e-waste. Besides, you would have to crush the cast plastic covering the LED (see pic) of every LED in the cluster to get at chip that actually creates the light. I agree that the processes that create these bulbs may have environmental impact, but how much is offset by the reduction in fossil fuel impact? Seems like any manufacturer of LED lights could have told us this years ago. Why does it take independent researches to "discover" what should have been public news when these devices were first being manufactured? We need WAY less hype and WAY more honesty from folks desperate to jump on the green bandwagon. That includes this blog. A study by UC Irvine's Department of Population Health & Disease Prevention has discovered that LED diodes contain unsafe levels of carcinogenic toxins. While LED's less energy friendly cousin's, CFLs, contain a measured amount of mercury, LEDs are laden with lead, arsenic and a handful of other chemicals that have been linked to different cancers, neurological damage, kidney disease, hypertension, skin rashes and other serious illnesses. Not only are these chemicals harmful to consumers if the bulbs are mishandled or broken, but extracting those toxins from the earth is a destructive process.